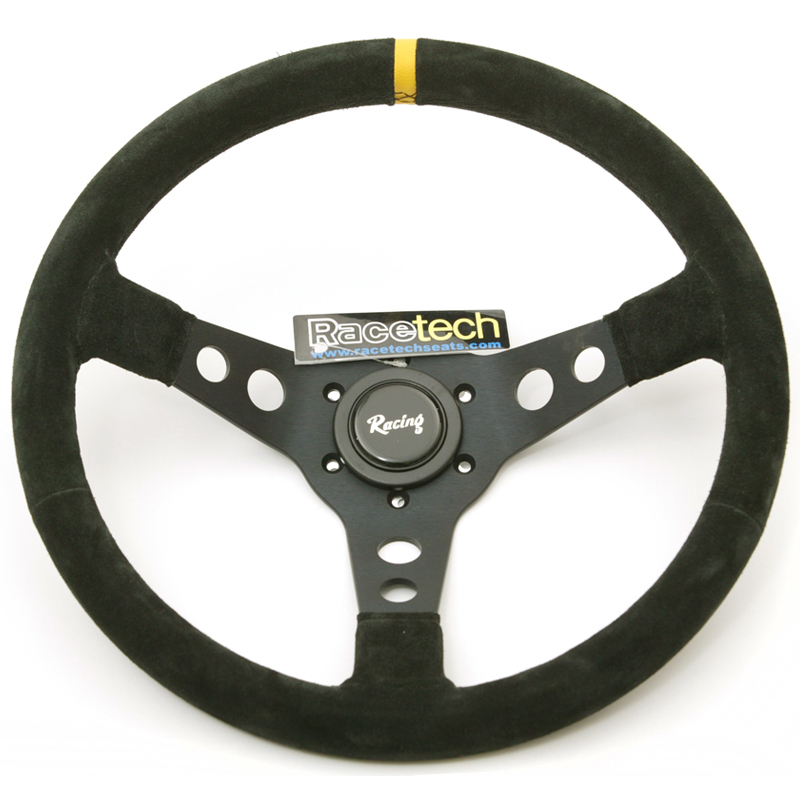 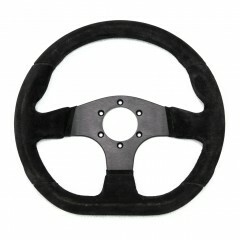 Vintage-style 3-spoke racing wheel in black suede leather. 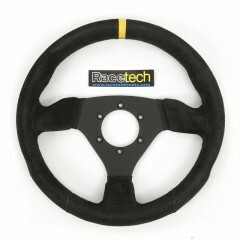 Features a yellow stripe for alignment. 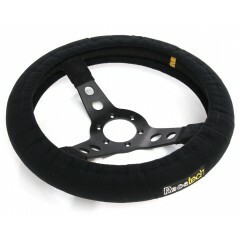 350mm (13.8") diameter and your choice of either 70mm or 90mm dish. 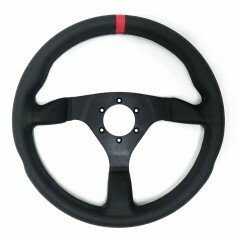 Includes horn button.